With Congressman Rodney Frelinghuysen of New Jersey’s 11th Congressional District retiring, voters in Morris, Passaic, Essex, and Sussex Counties will have an important choice to make as to who should succeed him. My friend Assemblyman Jay Webber has declared his candidacy for Congress, and I believe he offers Republicans the best chance to win the general election and send a consistent conservative to Washington D.C. Furthermore, having known the Assemblyman for eight years, I know he’s a straight shooter who genuinely cares about people and policy, not power and profit. The Assemblyman has turned down taxpayer-funded health perks and has declined to enroll in New Jersey’s pension system for the entirety of his tenure in Trenton. His office has won a reputation for delivering superb constituent services, which is a testament to both Jay Webber and his dedicated staff. Today, we have a $20 trillion national debt, a failing Obamacare program that has made insurance more expensive, government regulations that crush businesses and hurt job growth, entitlement programs in need of structural reform, and career politicians who have lost touch with the American people. I can think of no one better in New Jersey’s 11th Congressional District to send to Washington to take on the status-quo than Jay Webber. 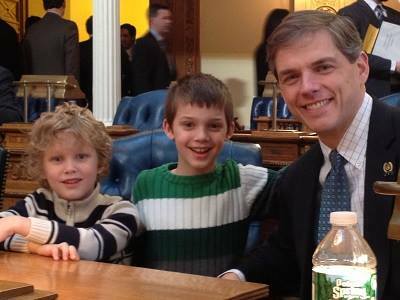 As an Assemblyman, Webber has proven that he’s a movement conservative unwilling to go along to get along. He’s led the fight against the $1.2 billion gas tax hike, skipping partial pension payments, and more government regulation. 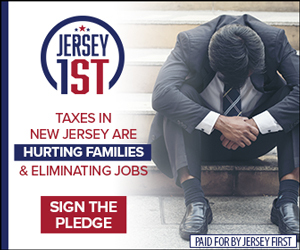 He’s also leading the fight to provide hard working taxpayers with direct property tax relief by reforming New Jersey’s convoluted school funding formula and using the Energy Tax Receipts Property Tax Relief Fund for its intended purpose. 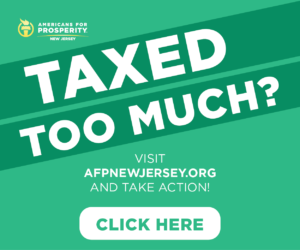 Webber’s consistently conservative record has earned him the distinction of being recognized as a “taxpayer hero” by Americans for Prosperity – New Jersey. Assemblyman Webber has also proven that it’s possible for conservatives to get things done without compromising principle. 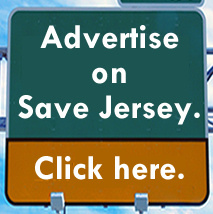 Thanks to his leadership in Trenton, victims of domestic violence now have more resources to get help, out-of-state veterans are able to attend New Jersey’s public universities at the same rate as students who live here, and he sponsored pension & health benefits reform that will save taxpayers $120 billion over three decades while protecting pensioners. The bottom line is that Jay Webber is an individual of impeccable integrity who CD11 residents will be proud to call Congressman. He has the right experience, judgement, and vision to ensure the GOP keeps Congressman Frelinghuysen’s seat. His belief in free markets, limited government, individual liberty, and the dignity of every human life will help drive up Republican turnout in a year when it is said that Democrats are more motivated to get out and vote. At the same time, Webber’s record of accomplishment transcends party lines, enabling him to be in the unique position of being able to not only rally the GOP faithful, but to also reach Democrats and independents. On Tuesday, June 5th, please vote Jay Webber for Congress in CD11, the only choice for conservatives and those who want to take on the status-quo in Washington.